The Myrtle Beach Oceanfront Boardwalk and Promenade traverses through the sand from 14th Avenue to the 2nd Avenue piers in Myrtle Beach. The boardwalk is home to festivals and other special events throughout the summer, such as fireworks, a live concert series, kids’ carnivals and festivals, and more. Best of all, all summer long the Boardwalk features Ocean Boulevard’s Hot Summer Nights, which is a live concert series that takes place every Tuesday, Thursday, and Saturday from 8 to 11. Completed in May of 2010, the Boardwalk is a great place to sit and enjoy the ocean views, do some shopping, eat at some great restaurants, and more. 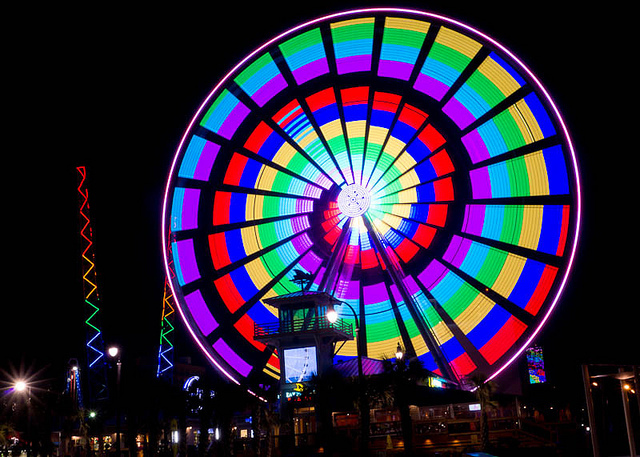 Not only is it an awesome ride, but the Myrtle Beach Skywheel provides an impressive show no matter where you’re at in Myrtle Beach, especially at night! Buy a ticket and take a sweet ride with friends or family as you look out over the Atlantic and the city of Myrtle Beach. Day or night, the Skywheel provides some awesome views. But best of all, the light show can be seen from pretty much anywhere on the beach! Set in the heart of Myrtle Beach, this 350-acre shopping center is perfect for anyone wanting to get out of the sun for a bit and do some digging for deals! Broadway at the Beach features over 20 restaurants, 3 theaters, and more than 100 specialty shops. The center also has nightclubs, hotels, and other fun attractions. The Backstage Mirror Maze, the Legends in Concert Series, and the NASCAR SpeedPark are just a few of the great attractions Broadway at the Beach has to offer. You can find a full list of attractions here. Looking to entertain the kids for a day? Haven’t been on a roller coaster in decades? The Family Kingdom Amusement Park is Myrtle Beach’s only seaside amusement park. The park features the “Twist ‘N Shout Steel Roller Coaster,” the “Swamp Fox Wooden Roller Coaster,” an Oceanfront Water Park, and even a “Slingshot Drop Zone”! You can watch some cool videos of the amusement park here. 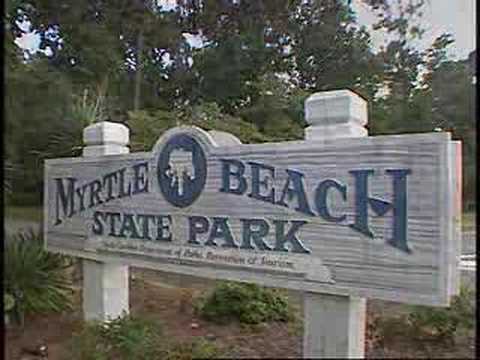 An adorable little state park located in Myrtle Beach, the Myrtle Beach State Park features interactive natural history displays, saltwater aquariums, and live reptiles, as well as various nature education programs. It’s a great place to have some fun and to learn, especially for the kids. Some other great things to do at the park include hiking and biking trails, equine trails, fishing, horse-back riding, pedal boat rentals, camping, and lots of historical and interpretive activities. There will also be a program called Totally Turtles taking place soon, on May 3rd! It looks super fun. The ocean not enough for you? Get yourself and your family to Myrtle Waves, a wonderfully fun water park located just outside of downtown Myrtle Beach. As South Carolina’s largest waterpark, Myrtle Waves has rides for everyone, featuring names like “Turbo Twister,” “Riptide Rocket,” and “Arooba Tooba.” Check out their full list of water slides here. Enjoy baseball? Then you should catch a Myrtle Beach Pelicans baseball game while you’re visiting the area! 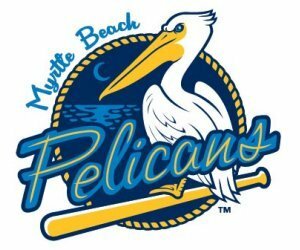 With a 2008 Division title and a 2000 League title, the Pelicans are a great team to catch while you enjoy some popcorn, a stiff drink, and the gorgeous sunshine of South Carolina. Are you a racing fan? Then check out the Myrtle Beach Speedway! Built in 1958, the Speedway is a great way to spend a day doing something a bit different. What’s more, you can get behind the wheel and drive a real NASCAR race car! These 3-hour experiences include driver meetings, trainings, and instruction. So go ahead, put that helmet on and put your foot on the gas pedal! Last but not least, where are you going to stay during your summer vacation in Myrtle Beach?! We have a lot of really great vacation rental options in the area, from big houses to small 1-bedroom condos that are great for a single couple to enjoy. So take a look through our options and get your summer vacation rental in Myrtle Beach booked today before it’s too late!